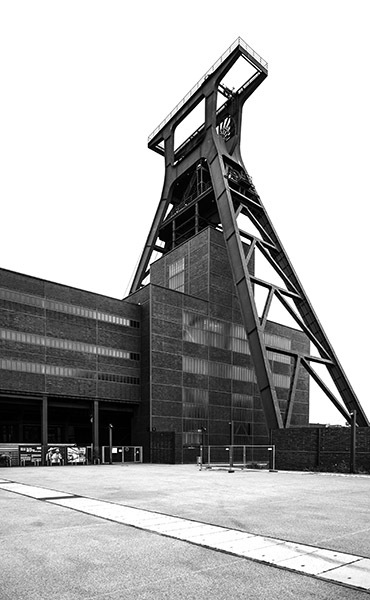 The Zollverein mine complex was formerly the largest and most advanced coal mine in the world while it was active, comprised of several mining shafts, a coking plant, and various industrial programs. Now designated as a UNESCO world heritage site, with a masterplan and refurbishments by OMA, the site continues to function as a cultural complex and public park. 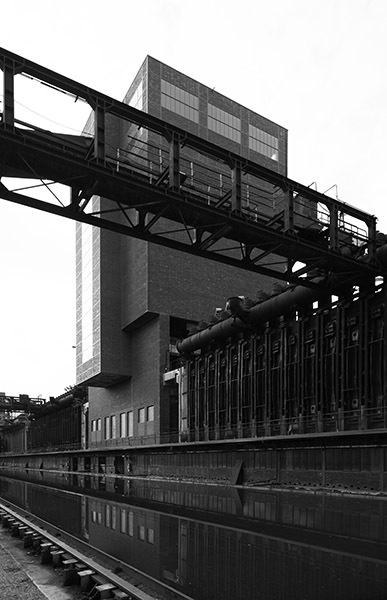 Zollverein is unmistakably Piranesian. 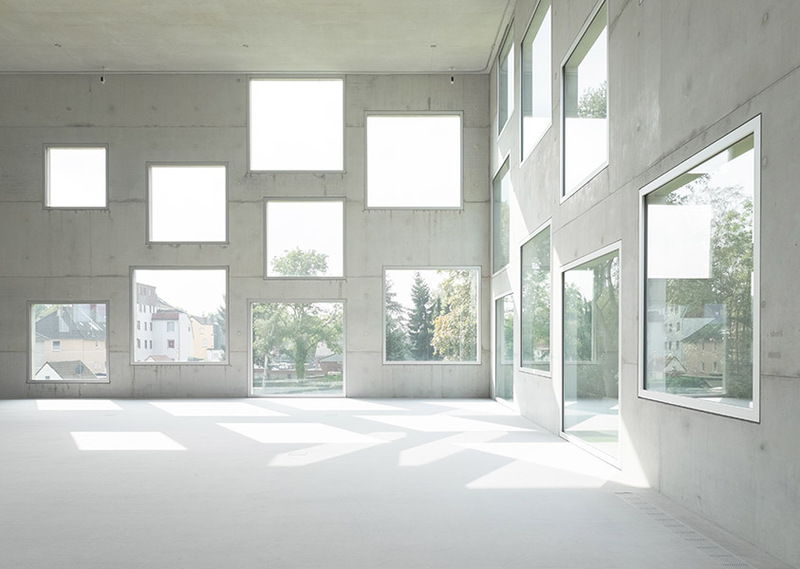 Spaces are complexly layered and crossed with skybridges, linking towers and lifted blocks. Masses become entangled as these bridges reciprocally interpenetrate and enfold space into layered knots that zoom into in the distance. 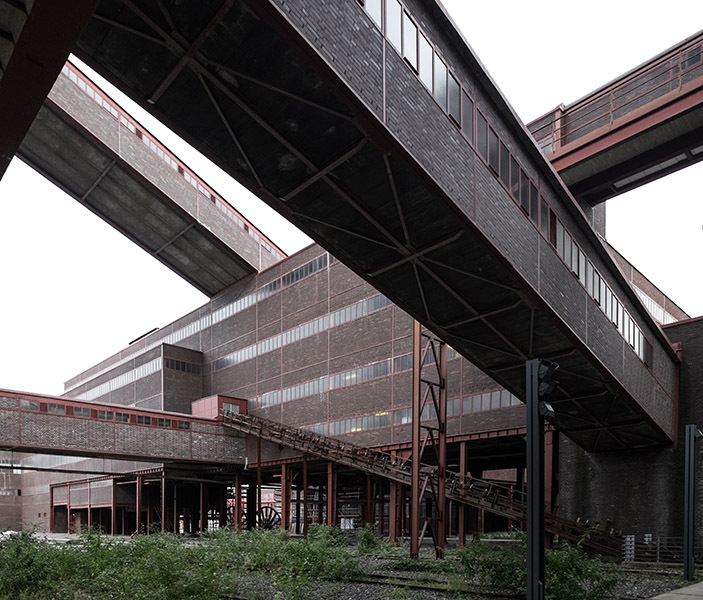 Zollverein reflects in many ways the spaces of highway interchanges seen in American cities like Los Angeles where four or five levels of traffic cross, coil, and exchange in a dizzying knot with incredible speed and scale. As compelling as Piranesi is as a model for space, truly Piranesian effects in contemporary spatial production seem to largely happen in the realms of industry and infrastructure, removed from the domain of the architect and the traditionally cellular operations of building at both the architectural and urban scale.. Industry and large scale infrastructure seem to produce Piranesian space much more readily than the agencies of human occupation. This is arguably due to the necessities of large-scale, highly specific spatial exchange infrastructures that industry and transportation require, but I would like to propose that on a more abstract level, the true distinction is simply produced by opposing figure/ground relationships in industry and cities. 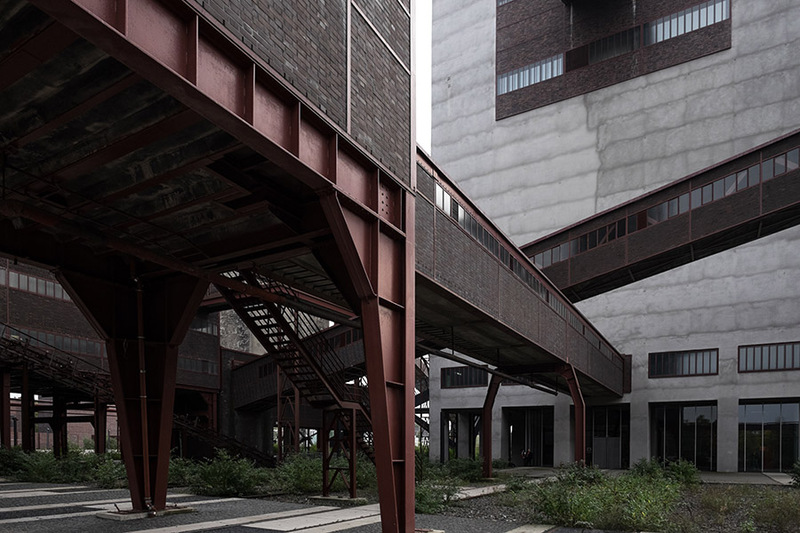 While Zollverein begins with infrastructure as figure within the blank ground of the site, in architectural settings the infrastructure--streets--are read as ground while architecture is figure. Indeed, this is confirmed by Hausmann’s concerted slicing of grand boulevards through the solid mass of 19th century Paris to produce sweeping view corridors through the city. However, as we look towards cities like Hong Kong and Tokyo a different model which begins to approach the Piranesian begins to emerge. In the last decades these cities have borne witness to unprecedented drives for densification, which have resulted in dramatic spatial arrangements--a trend described in books like Cities Without Ground, and Made in Tokyo. These cities have become characterized by groundlessness. As density explodes, massive underground subway systems, highways, skybridges and shopping centers have agglomerated into vast interconnected atriums and three dimensional urban webs. In Tokyo and Hong Kong, you can never be sure which level you are traversing anymore: multiple grounds exist. 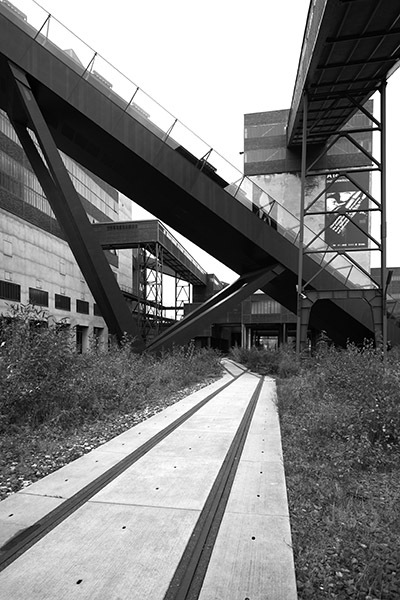 What appears to be ground may suddenly reveal itself to be a vast outdoor skybridge, or an underground atrium deep below the city surface. This intensity in the architectural section of the city is what has begun to invert the figure/ground relationship within the city. Not only in a planimetric way, which arguably has always existed in cities like Barcelona, with its chamfered block structure, large interior courtyards and grand intersections, and in traditional urban analysis, but in sectional and experiential terms as well. As one moves from subterranean subway tunnel to transit atrium, to skybridge and elevated enclosed or exterior grounds, what counts as void or solid, figure or ground, is decidedly unclear. The figure/ground tesselates and morphs, as in an MC Escher drawing. 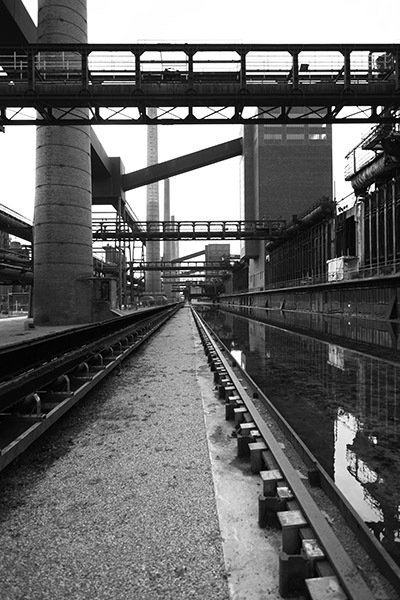 This is arguably produced by the inability for the simple base condition of the single-level ground to satisfy the demands for layered density in the 20th and 21st century city, forcing the production of new infrastructures that pass over and under each other, via excavation and construction, and requiring the level of Piranesian spatial intensity and specificity seen in industrial complexes like Zollverein. Of course, imagery of urban futures have been prevalent throughout the history of science fiction and film: beginning with Fritz Lang's Metropolis and continuing through more contemporary films like Blade Runner. However, most images and films, while representing a dense, distopian condition, still do not grasp the sectional figure/ground inversion and ambiguity that as an operation within the city is far more radical than any dystopian shapes and shadows. I would like to see a series of proposals for possibilities in urban space, at the architectural and planning scale that begin to deploy this principle deliberately to explore its possibilities, rather than the continued uncoordinated and emergent nature of its deployment in cities today. 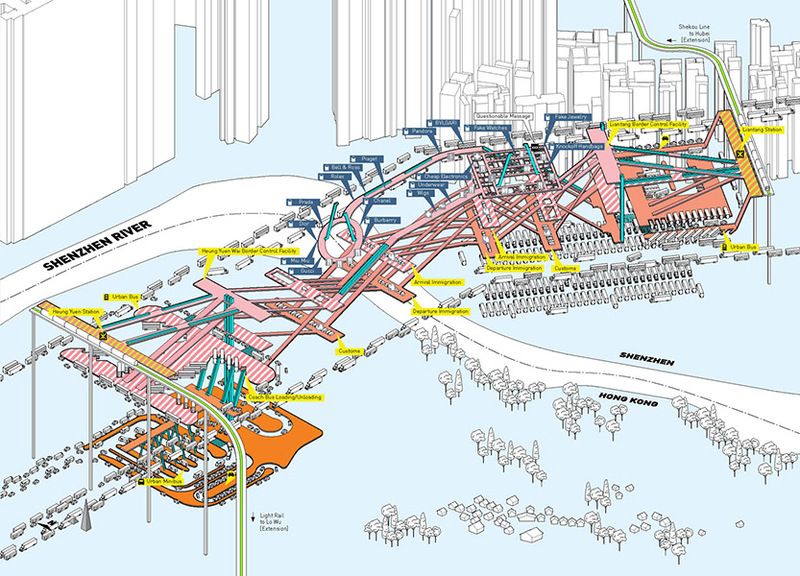 The drive for a Piranesian urban future is compelling as a formal conceit to architects, but its contemporary relevance is driven by real and pragmatic forces for densification. It is already emerging, uncontrolled, in cities most driven by those forces; with a designed hand, incredible opportunities exist.